April has flown right by us, and we’ve landed in the month of May! 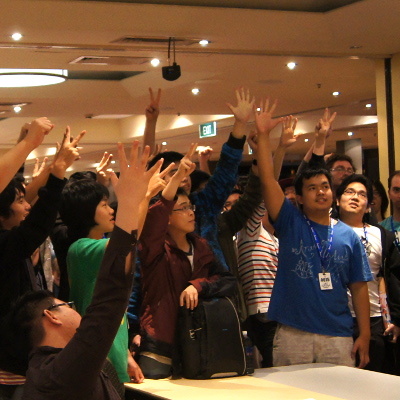 The Bushiroad Spring Fest 2016 (BSF2016) has reached its peak, with 12 Regional Qualifier events concluded and another 12 more to go in the coming months! Bushiroad Spring Fest 2016 so far…. 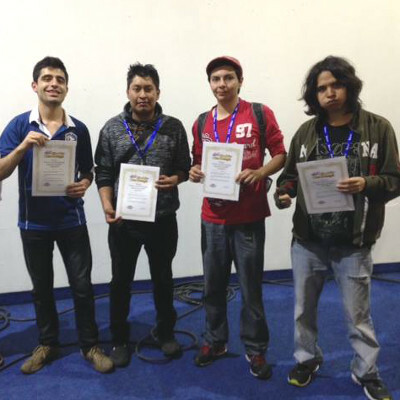 In the weeks following our previous BSF2016 report, five more Buddy Challenge events have concluded in Mexico, Greece, Philippines, Canada-Toronto, and Australia. Check out the event photos on our Facebook page! As promised, here is the Top 3 most played Worlds in the Buddy Challenge tournaments around the world so far! If you’ve noticed, the results are rather similar to the poll asking everyone what their favourite Worlds are from the “WEAR YOUR FAVORITE WORLD CAMPAIGN”. 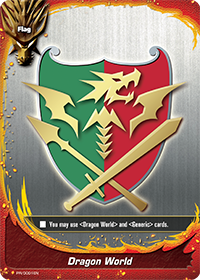 This is slightly different from the trend we spotted at last year’s Bushiroad World Championship; while Dragon World also topped the chart previously, Hero World and Danger World followed it in the 2nd and 3rd places respectively. That doesn’t mean that the popular Worlds are the best, or more powerful than the others, though. Take a gander at the winners’ deck recipes, and you’ll find decks of other Worlds making podium finishes. 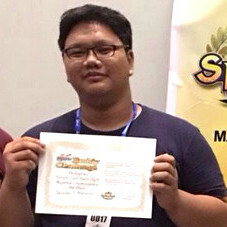 What is most important is of course your skills, deck building technique, and inevitably, whether lady luck is smiling on you that day! Pick a World with a playstyle that you like the most, and stick with it ‘til the end! 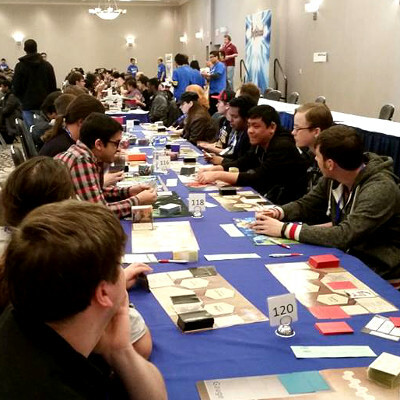 We’ll round out this report with a quick review of two outstanding decks used by winners of the Buddy Challenges in April that we’ve found interesting. Let’s check out their secret formulas for success! 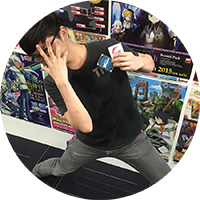 Deck Name: Yamete Maou Sensei!!! Magic World has always been one of the top picks among our players, and for good reason! Apart from having a very all-rounded card pool, it is also the home world of arguably the most popular monster in the series – Asmodai! 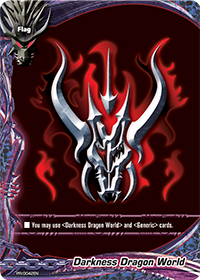 This deck uses many cards featuring the Second Omni Demon Lord, which makes the inclusion of “Art of Body Duplication! Asmodai” a no-brainer. 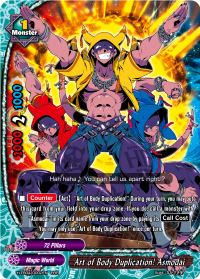 It allows you to revive any “Asmodai” from your drop zone, including both “Second Omni Demon Lord, Asmodai” and “INV Second Omni Demon Lord, Death Asmodai!” Many Asmodai cards have effects that activate when they enter the field, such as “Champion Wrestler Asmodai”, “Dance! 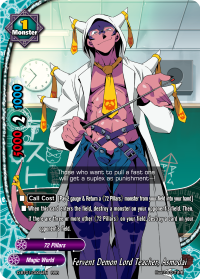 Asmodai” and “Fervent Demon Lord Teacher, Asmodai”. Another great card that can be used almost indefinitely is “Street Racer, Eligos”. As long as you have enough life to pay for its ability, you can ensure that your opponent will almost never be able to deal you damage! It can even be used multiple times in a turn to redirect attacks to itself, and it can then be sent back to the owner’s hand when it is destroyed by an attack. With several abilities that require the player to use their life as a resource, the inclusion of cards that have life gain effects is also mandatory! 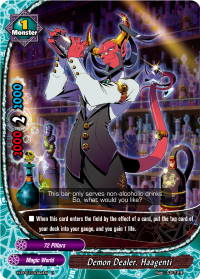 “Demon Dealer, Haagenti” gives you just that, along with 1 gauge. “Chillax!” and “Good to go!” provide this boon as well. 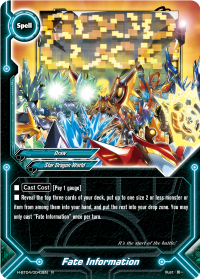 Star Dragon World has been a strong contender in recent times, which comes as no surprise. 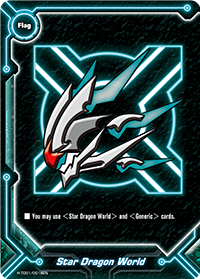 Cool dragons wielding advanced, futuristic technology aside, Star Dragon World has some of the most powerful effects around with a playstyle that powers up a single monster to the point where it becomes nearly unstoppable. The various different Dragonarms offers players a great variety of ways that they can customize and power up their 《Neodragon》 of choice. 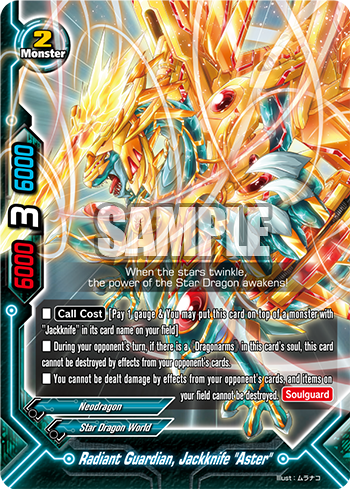 The effects granted by the Dragonarms range from simple ones that give [Penetrate] or attack/defence boosts, to ones that give powerful effects, such as “Biggest Dragonarms, Sonic Blast” which allows you to destroy a monster when your Neodragon with this card in its soul attacks! 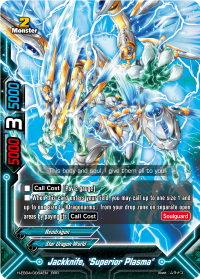 If you’re dealing with monsters with [Soulguard] or [Set] spells that are reliant on soul cards, you can also include “Dragonarms, Transportal” to remove cards from the soul of any of your opponent’s cards on the field! 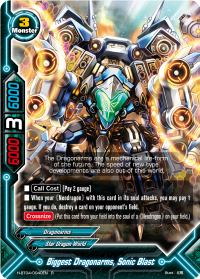 They also provide defensive capabilities; “Dragonarms, Radiant Scudo” can nullify any attack during your opponent’s turn as long as it is in the soul of a Neodragon, and if that Neodragon is a Jackknife, you don’t even need to pay any gauge for it. A key spell featured in this deck is “Fate Information”. 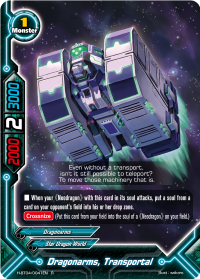 It seems deceptively simple, but being able to place cards in the drop zone is very important for this deck, as “Star Guardian, Jackknife” and “Jackknife, “Superior Plasma”” both have effects that require cards in the drop zone. That’s it for today’s article, folks! For those planning to participate in the upcoming BSF2016 events, don’t forget to double check the schedule on our event page for any updates! 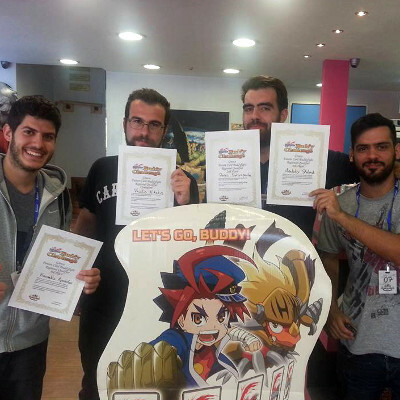 Stay tuned to Buddyfight Buzz for more event reports and exciting updates! Until then, keep on Buddyfighting! 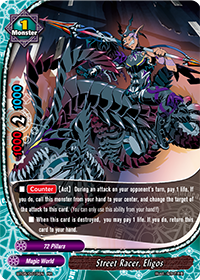 Buddyfight Buzz is a weekly column containing all things essential for Buddyfighters: card insights, latest buzz, any many more! We publish new articles every Monday! We are keen to hear your thoughts. 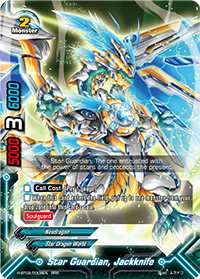 Drop us a comment on Facebook or e-mail us at sg_support@bushiroad.com!